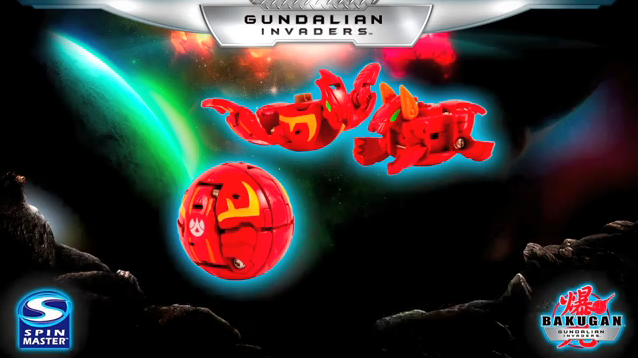 The Sky & Gaia Dragonoid Bakugan was introduced as a Special Attack Bakugan back when it was still season 2. 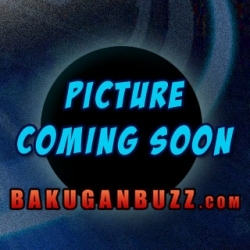 However, it is being released now as a Core Bakugan among the Wave 4 Bakugan during the Gundalian Invaders season. The Sky & Gaia Dragonoid Bakugan is a two-in-one Bakugan. 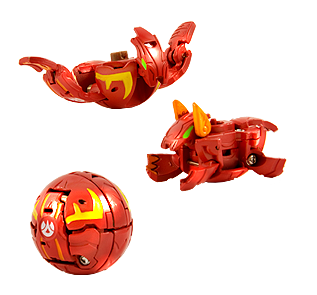 When released from its ball form, we have two dragonoid Bakugan jumping out (hence the name). 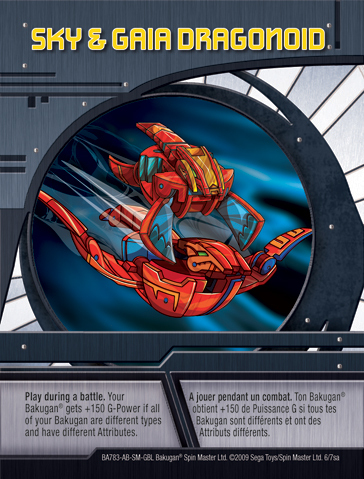 Sky and Gaia Dragonoid is a double-strike Bakugan that flies high above his enemies before striking at them, spewing fire with brutal precision. His skeletal frame withstands the mightiest of blows during battle. He flexes his pointed steel tail and duels with multiple opponents. His wrist guards trigger green diamonds that shoot out deadly laser beams.